"Christopher Robin! He's giant! And he smells a little funny." Disney has released another new 90-second trailer for their upcoming Christopher Robin movie, from director Marc Forster, a live-action re-introduction of all the Winnie the Pooh characters. This looks so wonderful. Ewan McGregor stars in this as a working-class family man in London named Christopher Robin. He re-encounters his childhood friend Pooh, who helps him to rediscover the joys of life. Oh does he ever. The main human cast includes Hayley Atwell, Mark Gatiss, Adrian Scarborough, Roger Ashton-Griffiths, Paul Chahidi. For the voices: Jim Cummings as Winnie-the-Pooh, Chris O'Dowd as Tigger, Toby Jones as Owl, Peter Capaldi as Rabbit, Sophie Okonedo as Kanga, and Nick Mohammed as Piglet. I don't know how anyone can watch this trailer and not smile and suddenly feel a bit better about everything? It's the best, all of it. Watch below. You can still watch the teaser trailer for Disney's Christopher Robin here, or the first full-length trailer here. The Hundred Acre Wood is opening up to our world. 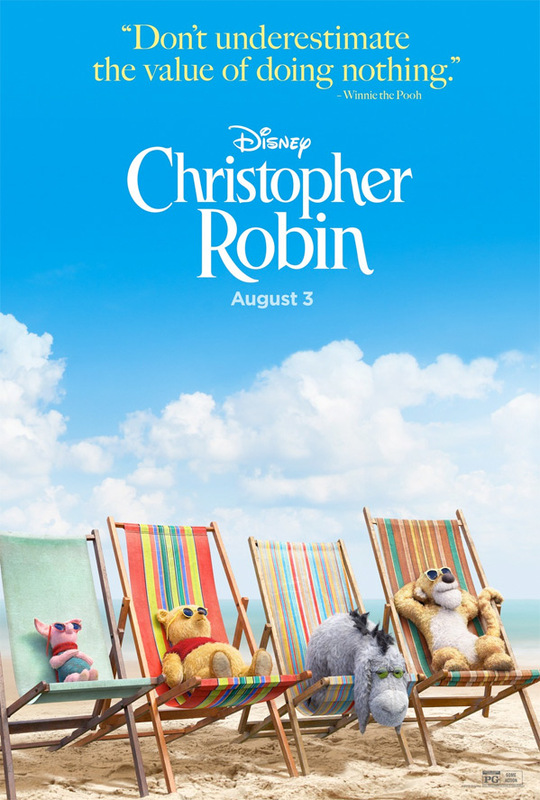 Working-class family man Christopher Robin (Ewan McGregor) encounters his childhood friend Winnie-the-Pooh, who helps him to rediscover the joys of life. Christopher Robin is directed by German filmmaker Marc Forster, of the films Loungers, Everything Put Together, Monster's Ball, Finding Neverland, Stay, Stranger Than Fiction, The Kite Runner, Quantum of Solace, Machine Gun Preacher, World War Z, and All I See Is You previously. The screenplay is written by filmmaker Alex Ross Perry, with additional work by Allison Schroeder and Tom McCarthy. This is based on the story and characters created by A.A. Milne, originally in 1926. Disney will release Forster's Christopher Robin in theaters everywhere starting on August 3rd this summer. What do you think? Want to see this?